Halfway between a toner and a serum, Omorovicza’s Omoressence harnesses Far Eastern beauty influences to maintain moisture levels and restore skin’s physiological balance. Soothing, nourishing and protective, it’s the perfect way to guard against environmental stress whilst leaving your complexion feeling plumped, dewy and prepped to maximise the efficacy of your subsequent skin care ritual. With a slippery, silky texture, this featherweight formula glides over skin after cleansing – just pour a few drops into palms and pat all over face ‘til absorbed – to fortify skin’s natural defences and promote a naturally healthy ‘glow’. Starring a complex of amino acids to promote your skin’s ability to retain water, alongside rhamnose polysaccharide – an innovative ingredient which prevents harmful bacteria from accumulating on skin’s surface – Omoressence keeps skin feeling smooth and comfortable whilst reducing signs of stress and inflammation. Silicium then helps to support synthesis of collagen and elastin – bolstering skin’s repair processes and promoting resilience for a stronger, firmer, younger-looking complexion. Ich habe mich auf die Reviews verlassen und die Essense ausprobiert. Für mich ist es ok. Ich benutze sie täglich, morgens und abends und kann keine Verbesserungen meiner Haut erkennen. Kann den Hype nicht verstehen. Für mich so lala. ***I relied on the reviews and tried the essense. For me it's OK. I use them daily, in the morning and in the evening and cannot see any improvements in my skin. Can not understand the hype. For me so-so. It really is the best skin care product I’ve ever used. I am so happy that I decided to get the free sample. I recommend Omoressence to every woman. This watery toner refreshes the skin immediately and at the same time hydrates. I tend to have hormonal acne (having better and worse days), but after using Omoressence, it really stops the breaks outs. Such a “wow” product for me! Soooo recommend it! I received this as a sample with my last order and loved it! My skin seemed to drink it up and it brightened my skin. I used it in place of my toner. My skin felt so soothed and soft. I have added this to my birthday wishlist as a hint for my other half as I would love the full size. I have only given 4 out of 5 as I have not yet had the opportunity to use this more long term to see how my skin goes with it. I received this as a sample in a Cult Beauty order. I love the concept of adding an Essence to my skincare, for extra hydration, So was glad to get a sample of this. I love Omorovicza skincare - the Queen of Hungry Mist is one of my favourite. This Omoressence did not disappoint. I could feel my skin drink this extra layer of hydrating nourishment in. My skin looked and felt softer and beautifully dewy. I have bought the full-size bottle and this is part of my daily skincare now. I wish I had started using this sooner - my skin looks so much better. I am writing this review at the end of January - so we are in the middle of winter when the central heating is on. 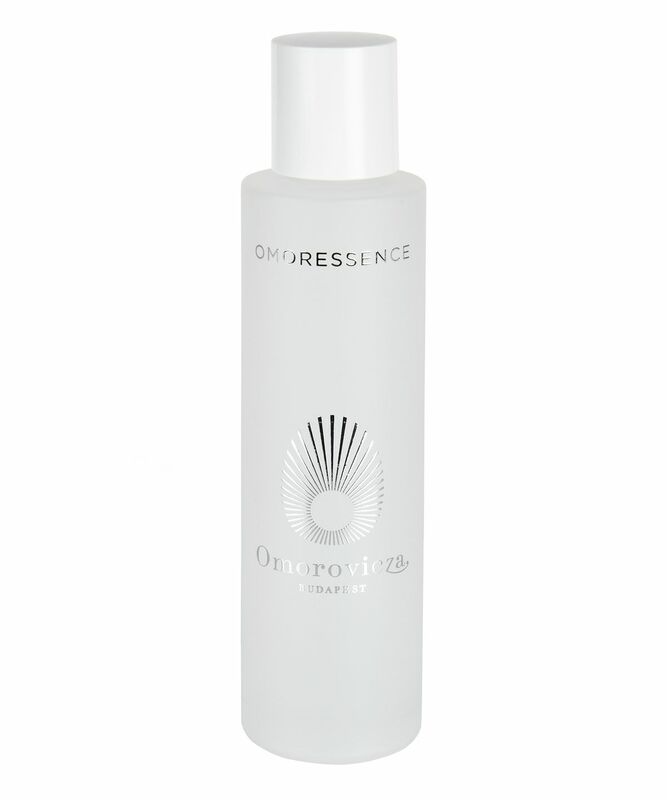 Omoroessence is a skin saviour. You will NOT regret this buy..! I received a sample of this with my Cult Beauty order and forgot about it. I came across the sample sachet and used it this morning after cleansing. OMG! My skin feels amazing. I always use a wash off cleanser with muslin cloth. You know that slightly tight feel you experience after cleansing? Well you can feel this immediately rebalancing the skin when patting it on. And when you put your moisturiser over the top, it glides on like silk. I can’t stop touching my face. I've got to save up to buy this now!! This is a true cult product. It works from first use and you see an immediate difference to the condition of your skin. The essence is watery and you only need a little bit each time. It has a faint scent, vaguely floral/fresh - does not linger on the skin. Makes my skin look plump and healthy and on some days it is the only thing I use after cleansing. I did not know few months ago what was an essence but I was very happy to buy this Omoressence which is a very innovative product and my skin could not say that enough! I use it every day just after the Omorovicza Cleansing Foam and just before my Omorovicza Instant Perfection Serum. I think this is the best skin care product I’ve ever tried. And I’ve tried a LOT. I didn’t think I needed an essence as I already had a comprehensive routine that included a lot of misting, but this is a game-changer. The consistency is just like water, and you pat it into the skin after cleansing. My skin soaks it up like a sponge, and feels instantly plump and hydrated. I’ve been using it for a few months now and have really noticed a change in my skin’s health over that time. It’s no longer dehydrated, and the flaky dry patches I used to get around my chin are now a distant memory. I couldn’t be without it now. I got a sample from this in a cult beauty order like some of the other customers. I used it after AHA toner and before moisturizer. my skin looked so amazing, it looked like I had put foundation on but I didn't- flawless and soft. I am definitely buying the full size! I received sample sachets of this product and have been trying it out for couple of weeks now and woah, it's a skin changing product! My skin is very dehydrated during winter and a bit dull, but as soon as I started using this after my regular cleanse I noticed the huge difference, skin was plumper, brighter and just looks much better in general. Will definitely purchase full size of this now I discovered it! A little goes a long way so I'm pretty sure one bottle will last me at least 3-4 months. The smell is a bit strong. Best addition I've made to my skin care routine ever. It's a little more dense then your traditional toner, but it sinks in amazingly well. It soothes my skin and I definitely feel like my skin is more hydrated since I've started using it. Will definitely buy again!